Butter Duck Farms provides practical herbal products that WORK! 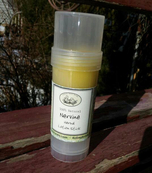 The Herbal Itch Relief and Nervine Lotion Sticks are staples in our household now. We've used them to prevent infection of cuts and scratches and can even prevent burns from blistering. Amazing. If you are looking for products that improve your health, try their stuff. I would recommend the hand salves (Extra Care Hand Repair) the Lotion Sticks, the Neem Oil Soap (very pungent odor, though! Not for the faint of heart, lol. Great for problem skin.) and the Peppermint Lotion Bar. I met Freddie and his mom Joy last summer at the Farmer's Market. When I found out that Joy was a fellow adoptive mom from The Cradle in Evanston, it warmed my heart as it brought back memories of my Ana as a baby. Joy came in asking if I had anytihng for Eczema, Freddie's face and head itched so bad that he just kept rubbing it onto his mom's chest while being carried. 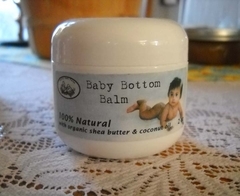 They tried our Baby Bottom Balm and were shocked even in the first few minutes after she applied it on him how good his skin was looking! 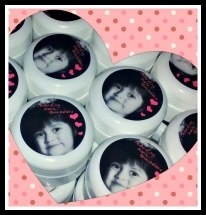 Joy swears by the balm, and has recommended it to many other moms! I am a 36 yr old mother of 2 young boys. I was in disbelief to discover that I was the only one in the house with a horrible case of head lice. This was the first time in my life...I was horrified!!! I went to the doctor and was told to use Nix or Rid. Sounds easy right? No, the bugs were still alive 2 days after and I was in a panic. Thank goodness for Butter Duck Farms Lice Oil is all I can say. I applied it and the lice all DIED first time out. I also used lice repellent spray that first week and the shampoo which smells heavenly. I was so grateful that I had my confidence back and that I could walk around with my head held high. I couldn't infect my family or strangers anymore. I recommend that every home has at least a bottle of Lice Oil and Repellent. I found out the hard way that Lice can strike when we least expect it. Thank you Butter Duck Farms!! Wow! I can not wait to try the shampoo and leave in spray! My daughter has come home with lice 3 times in the past 6 months. 2 weeks ago she stayed with a friend and came home loaded with fully grown bugs, after I had sat and picked every single nit from her hair Friday night, before she went. I treated her again, with normal chemicals, checked her hair again, and she was clean of everything. I got the lice detangler spray in the mail and this weekend I sent her to her friends with the spray in her hair... I checked her before she went, nothing, I checked her when she came back, there were about 10 full grown DEAD bugs in her hair! I will be purchasing more of this, for myself, and my daughters friend, since that is where she seems to be picking it up! I also tried this on my head first, because I know tee tree oil tends to irritate some scalps, but there was no irritation at all. It smells so much better than any chemical you could ever buy. I was very suprised how well this worked! Great job ButterDuckFarms! I will be a repeat customer for life! In the past, having lice in our home with four children was not only toxic to treat, but also very costly. 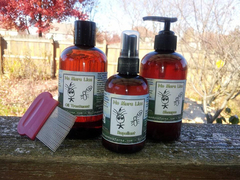 Being very satisfied with the quality of Butter Duck Farms soaps and lotion bars, we decided to try the no more lice treatment, because we trusted the product. The effects were immediate. The itching stopped quickly, and the lice were removed with ease. Best of all-it's non-toxic and less expensive. I absolutely love Butter Duck Farms!! After feeling frustrated and helpless when the lice treatments available at the store failed, I tried the Butter Duck Farms treatment on my kids. I was amazed at how well it worked, and how the oils made the nit removal so easy!! I used the treatment oil as deep conditioner this afternoon, and my head is blessedly free of itching for the first time in weeks. Worked great-after trying many products this one banished the lice!!!! For 12 years I battled to keep my two daughters' very dry skin hydrated. They abhorred the cold and slimy lotion regimes I tried and avoided any and all attempts to tend to skin care. That is until the first time I used your body butter on them and it has been life altering!! Not only no more battles but they enjoy trying the many fragrances you have developed and love the lotion bars you made andskin care is now a pleasure. To top it all off, YOU were a total party saver with the adorable favors you designed and created for my older daughter's quinceañera!!! Looking forward to new fragrances and products! ~ Suzanne, Elmhurst, Il. © 2017 Butter Duck Farms, All rights reserved. All text and images on this website are the property of Butter Duck Farms and may not be duplicated in any manner.